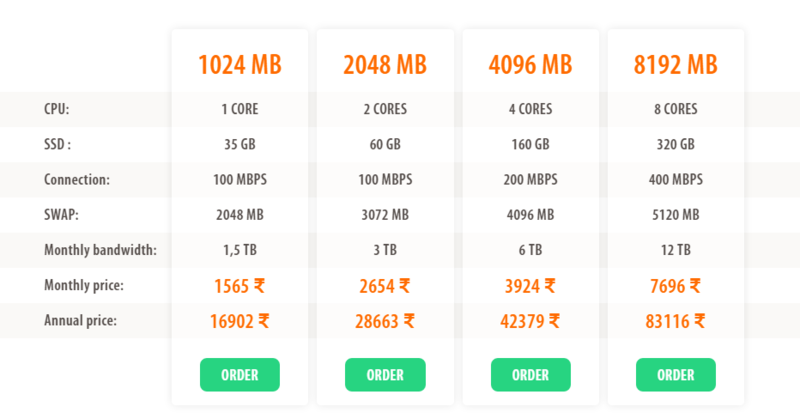 Fozzy Hosting Review - Is It a Fastest Web Hosting Provider? Home|Website Hosting|Fozzy Hosting Review – Is It a Fastest Web Hosting Provider? Fozzy Hosting Review – Is It a Fastest Web Hosting Provider? Fozzy Hosting is worth to try for. The prices they offer are best as compared to the features they are offering, Along with this they are providing fastest page loading speed that makes them different from the crowd. There are so many companies available in the market that are currently providing web hosting services and also claim themselves as best the web hosting company. Though there is very few company that are actually best. In order to find the best web hosting company for you, we have decided to share the review of Fozzy Hosting services. Fozzy Hosting services belong to Globally spread XBT Holding group that serve web-hosting solutions for the users of Europe, USA, and Asia. Presently their data centres are located in United States, Netherlands, Singapore and India. XBT Holding network capacity exceeds by more than 4TB and here in this review, we will share all the details of Fozzy Hosting Services. Here we have mentioned all the necessary and important features of Fozzy Hosting services that we have checked and can be useful for you while hosting your website. Hope it would help you if you have any suggestion or any query you can ask in the comment box given below. Fozzy hosting providers have data centres at multiple locations that help their users in reducing the load on their servers. Having data centres on Multiple locations is better than adding the data capacity of existing centres. With Multiple data centres, you can host the data at the centre nearest to your targeted audience as it also helps you in so in long run. Fozzy hosting is better than other hosting service providers that possess single data centre. They are also providing free CDN services that will surely reduce the page loading speed. As they have a combination of free CDN and multiple data centres their page speed loading time would be definitely less than other hosting providers for sure. CDN is globally distributed network of proxy servers and is highly aimed at providing high-end user-friendly content to a user. With the help of CDN, the static content of your website is generated from the nearest data centre that helps in reducing the page loading time. 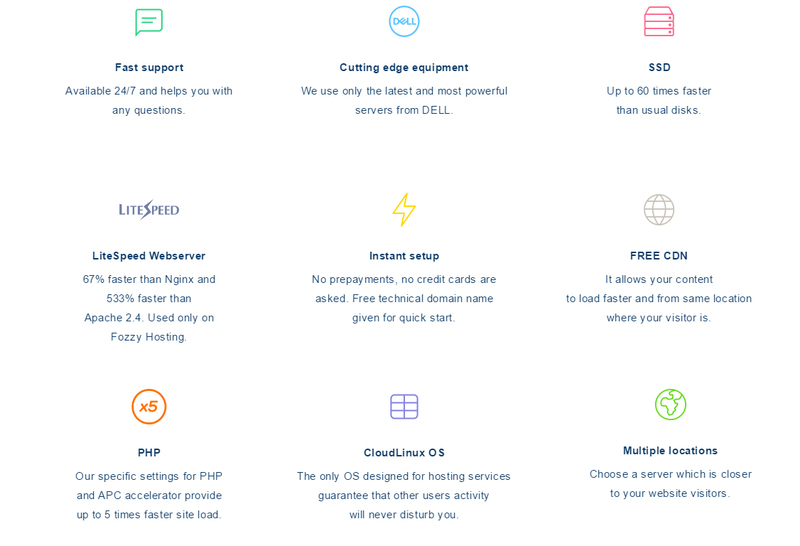 They are affiliated with Litespeed web technologies, that are number 1 commercial web server across the globe and 4th most popular web server on the internet. The Litespeed web server aimed upon lower the operational costs and improving the quality. They are 500% faster than Apache 2.4 and 67% faster than Nginx that would surely help you to reduce the page loading time which improves the user experience on your websites. A user-friendly interface solves 70% of work hassle and improves the overall quality of your work. With the user-friendly of Fozzy hosting services, one can easily upload the data files through Cpanel which can save your time up to 90%. Along with this, an easy to use interface can help you in working easily and executing your work on time. Spam protection is one of the most important things required with Hosting services to prevent spam attacks. With Fozzy Hosting services, you will get complete spam protection hosting services that would help you to prevent your websites and data from any hacking attempts. In the case of any hacking attempt on your website, they will immediately inform you about such action and do perform all the required actions to safeguard your websites and data. 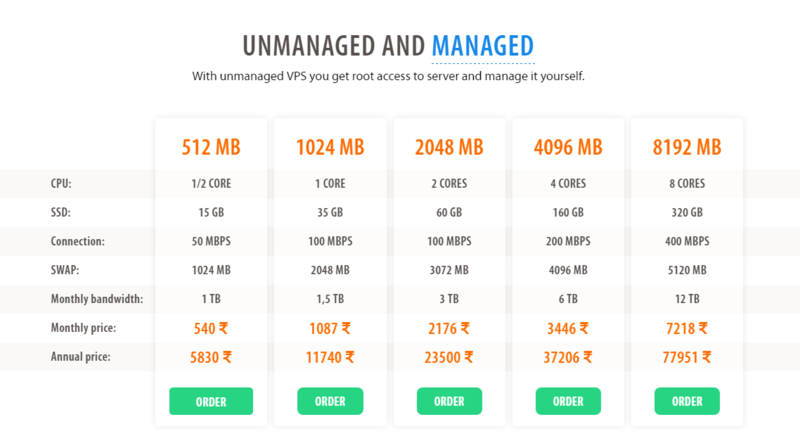 There are 2 hosting packages provided with their shared hosting packages. One plan is available for the single website while another plan is for 5 websites. 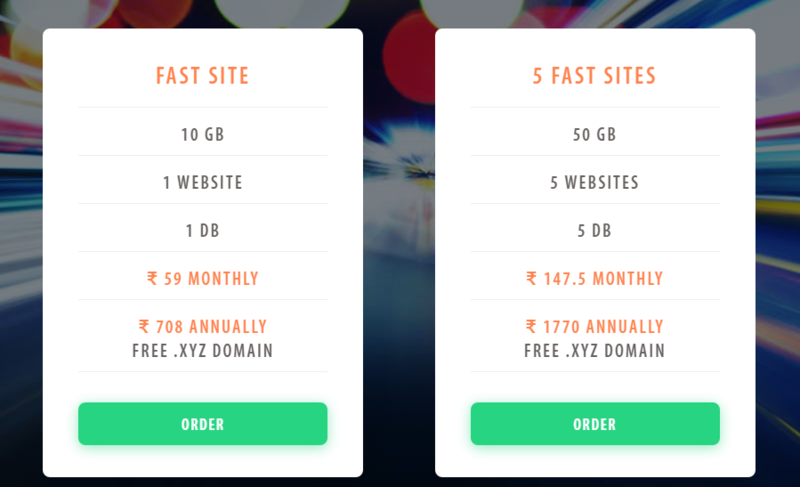 Along with hosting plan, you will get a .xyz extension domain as well. There are 2 payment modes available that is monthly and second one is annual. 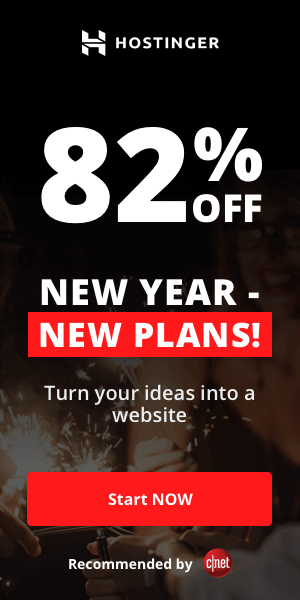 You also get 7 days money back hosting with their shared hosting plan. Fozzy Hosting is worth to try for. The prices they offer are best as compared to the features they are offering, Along with this they are providing fastest page loading speed that makes them different from the crowd. We are looking to listen to their hosting services from your end as well. Please share your views in the comments given below. I love fozzy.com service, they are always prompt with any issues I have and I can actually speak to someone on the phone. The up time is excellent. They are rock. They offer FREE for Life with Annual Registrations – this what I also like about them. High 99% uptime and very fast servers. I developed my WordPress Website with optimum speed using the available softaculous addon in the cpanel. I am also have two addon sites with same hosting plan. I’ve been with fozzy for quite some time and I have two vps accounts after moving from another vps provider which was very unreliable, to say the least. My current two VPSs at fozzy have been extremely fast, reliable and stable. I have not had a single issue to complain about, fantastic. The support and speed of responses is worth many times what fozzy.com charge for hosting. I don’t believe I have had to ever wait more than 2-3 min for support reply, 24/7. Excellent! I’ve been with them for more than three months and so far I’m very happy. I know from personal experience that their chat support is online 24/7 and I personally use it quite a lot. Fozzy service is amazing, I must say. You will not do wrong if you give them a try. Fozzy is good host. I paid $3.9/mo via Paypal and setup was fast and my website was running in 10 minutes. What I wanted to say is that I have been for 8 months with this hosting provider and I am really happy with it. I have never had any downtime and this is great. I can say that speed connectivity is really fast. All I want to say about fozzy ssd hosting service is that site performance is excellent! My site is fast and always online. Finally, the customer support via chat is very fast. I also love that it’s 24/7, so I’m not tied to US working hours. I’ve always been helped pretty quickly. All in all, Fozzy is the best hosting service in my opinion. I have used other hosting providers in the past, and have considered moving to fozzy just because of their reputation. Their technical support team migrated my websites free of charge. Got various levels of support personnels, so no issues gets unresolved. I have rented a shared hosting account from these guys for almost four months, and whenever I need help due to my inexperience! Not only is the service Top Notch, but I was blown away by all the features in the control panel and the storage/bandwidth I get for the price. I shopped for months and could not find a better deal. Fozzy takes monthly no contract PayPal payments! This is definitely a bunch of web savvy people who know what it is like trying to manage a web site and endeavor to provide services and features well above and beyond your average hosting service. I like Fozzy.com as my web host. There have been a very few downtime periods but they were handled quickly and efficiently. I am not sure if they still do this, but when I started they only employed skillful support techs. It is really nice to be able to submit a support request and have someone receive it that can actually analyze the issue and correct it, vs. someone reading off of a scripted tree so to speak. They’ve handled every ticket quickly, and with the responses you’d want from the very start. You will not go wrong if you choose Fozzy ssd hosting! I just switched over managed VPS hosting from another company that’s been hosting my server for several years. Fozzy has been super wonderful, especially Matt on chat, and I’m thrilled with the service and price. Just thought I’d give praise where it’s due. Thanks, Fozzy!! (I’m not an employee or in any way associated with these folks other than as a new customer). The customer service is excellent! I expect fast resolution to my requests for assistance and haven’t been disappointed when dealing with Fozzy. The best deal for your money I have come across. Great tech support and customer service! Fair and honest people running this show. Fozzy Hosting Services is THE easiest, fastest, most robust web service I have had the pleasure of using. Transferring my account was a breeze. In fact, it took longer to jump through the hoops of my previous service provider while fozzy was all ready to go. When I was setting up my site I had a couple of questions. The online help was perfect. David was quick to respond each time and answered all my questions. You can actually talk to a REAL person online! I was impressed. I’m very impressed by your quick replies and service level…triple A rating for you. Fozzy is the only web host I use. I’ve tried many others but keep bringing my sites back to this host for better service and support. Great product offerings and equally great service! Irrespective of whether it is day or night, they have always been prepared to help me out! You people are great! With such affordability and such a dedication in providing services, I am sure I would never look for any other option! Totally impressed working with these guys. Fozzy is great web host. They are very professional and seem to enjoy helping their customers which is a great change from some of the other sites out there. Their ddos protected hosting is based on quality. I am able to focus on my business instead of worrying about my site’s uptime, since all that is taken care of very well. Their selection of packages is awesome. When speaking on the phone to a Fozzy rep., it’s a comfortable conversation.. kinda like talking to an old friend. If there is something you don’t understand, it’s not given to you in tech terms, it’s in terms that anyone on the street and understand. I would and have recommended Fozzy to others. Good experience dealing with Fozzy hosting provider. Control panel has a lot of good software like blog and forum. I think they are much better than my previous hosting. I have several accounts with them, and they continue to impress! Go with them, they are good! Fozzy packages include a full list of features that provide everything I need plus plenty of room for growth. Their uptime is fantastic and ability to upgrade and downgrade is a plus! Rock solid control panel. It’s good cheap hosting. Fozzy web control panel is sometimes a little slow but very powerful. So far, a very happy customer. I’ll update my comments in about 6 months.